People often view financial advice through a single lens, as investment advice. However, there’s a big difference between simply managing your investment portfolio (one aspect of your overall finances) and an all-inclusive approach to coordinating your financial picture. A qualified financial advisor should provide critical planning services and advice across your financial life to create alignment between your various strategies. And that can make the difference between remaining on track and falling short of your financial objectives or timeline. 9. Serving as a single point of contact to coordinate services and experience across multiple disciplines, such as mortgage services, insurance, employee benefits, trust services, business succession planning, etc. If you’d like to learn more about the advantages of coordinating your financial picture with a BlytheWhite Financial Advisor – contact us today. Andrew is a Financial Advisor with Blythe Investment Advisors. He is passionate about working alongside clients, providing custom and highly personalized services based on each clients unique needs and expectations. He is committed to coaching, supporting, and educating clients to achieve their financial goals. Joining our firm in 2014, Andrew serves as a Financial Advisor for Blythe CPAs and Advisors providing wealth management and investment solutions to existing and prospective clients. Andrew is a graduate of the University of Kentucky with a major in Finance and a minor in Economics. 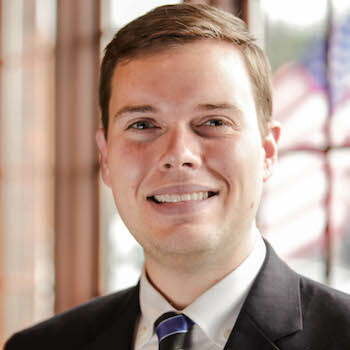 Prior to joining Blythe CPAs and Advisors, Andrew spent several years in the banking industry as a commercial lender. Andrew is an active member in his community and church. He currently serves as Chairman of the Salvation Army of Paducah Advisory Board. He is a graduate of Leadership Paducah Class #29. Andrew enjoys running, cooking, and spending time with his wife and daughters.